The number of participating pipeline operating companies from the emerging markets in Eastern Europe, Asia, Africa and Latin America has grown substantially in recent years. In view of the speakers and sponsors already confirmed, it can be assumed that even more operator delegations from all over the world will come to Berlin for ptc 2019 to inform themselves about current developments and new technologies. This year's autumn meeting of the Advisory Committee took place at the invitation of Arcadis Germany in Munich. 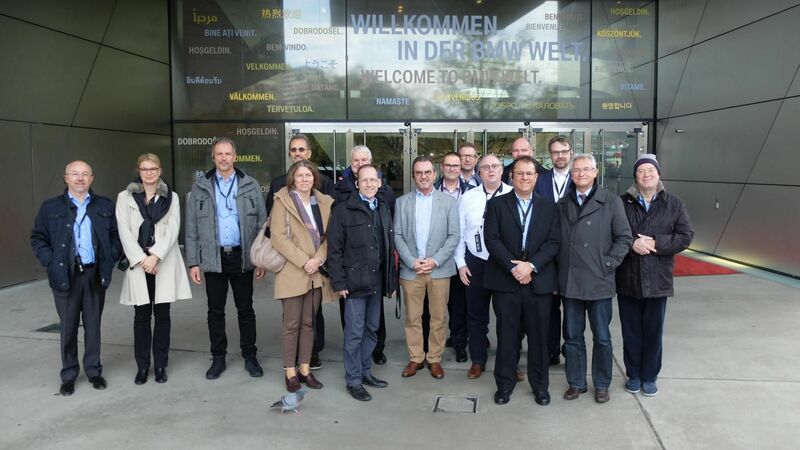 As part of the meeting, the committee members visited the BMW car and engine manufacturing plant in Munich. " Our tour through the production facility impressively demonstrated both the benefits and the challenges of digital transformation. Today, hardly any workers can be seen in parts of the highly automated automobile production. Qualification and continuous further training are becoming increasingly important. In the pipeline industry, we are competing for these qualified workers," said Dennis Fandrich. Both topics - digital transformation and qualification - will be given special emphasis at ptc 2019. The upcoming 14th Pipeline Technology Conference will take place from 18-21 March 2019 at the Estrel Convention Center in Berlin. Further information is available at https://www.pipeline-conference.com.